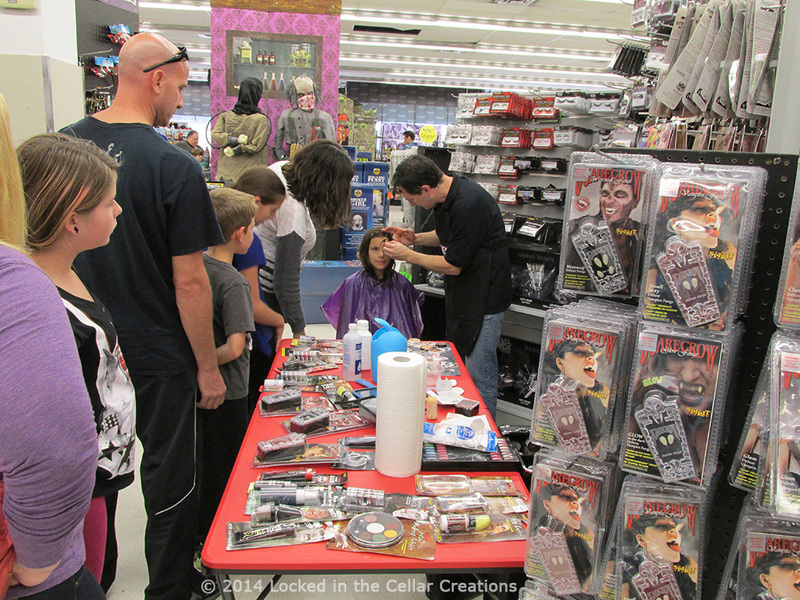 We have been doing make-up demos in Halloween stores since 2013. During these demos we answer make-up questions from the shopping audience and show them how products are used. We often do this by applying an example of the make-up on themselves or on their kids, turning the shopping trip into a unique experience! Our personal experience is that the FX make-up section is very intimidating if people don’t know how to use the products, but it turns into a fun section filled with wondrous materials after having been explained what the various products can be used for. Store owners have complimented us with comments like “People leave with baskets full of make-up every time you guys are here” and “This stuff never sells, how come it’s selling out now?”. In addition to this, we provide training to the staff of Halloween stores as well. In 2 hours, we show the assembled staff how to use the most popular products so that they can pass on their new knowledge to the customers (includes print outs with a recap). Store managers confirm that a knowledgeable staff greatly increases the sales.